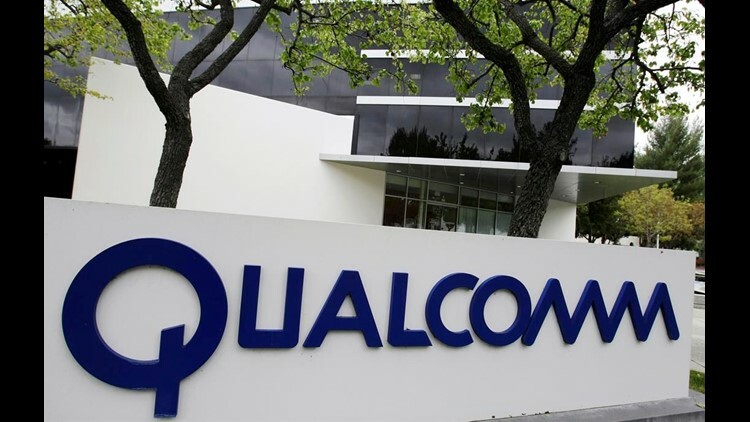 SAN DIEGO (CNS) - San Diego-based Qualcomm sued Apple in federal court Thursday and filed a separate complaint with the U.S. International Trade Commission, claiming patent infringement regarding iPhones imported into this country. The two companies have been at loggerheads this year over patent royalties, with both sides initiating litigation. Qualcomm makes the processors used in many iPhones and other mobile devices. In the latest legal actions, however, Qualcomm is challenging Apple's importation of iPhones that are made overseas and use Intel processors. Apple did not immediately respond to a request for comment on the lawsuit, which was filed in U.S. District Court in downtown San Diego and seeks damages and injunctive relief. The USITC complaint alleges that Apple has engaged in the unlawful importation and sale of iPhones, and asks for an investigation and ruling that would put a halt to the practice. "Qualcomm's inventions are at the heart of every iPhone and extend well beyond modem technologies or cellular standards," said Don Rosenberg, executive vice president and general counsel of Qualcomm. "The patents we are asserting represent six important technologies, out of a portfolio of thousands, and each is vital to iPhone functions," Rosenberg said. "Apple continues to use Qualcomm's technology while refusing to pay for it." Cupertino-based Apple sued Qualcomm in January, contending that the San Diego firm charges royalties for technologies it has nothing to do with.